Following high demand for an open-top LFT-666, iconic British car manufacturer - The Lister Motor Company - is launching its most powerful open-top supercar ever - the LFT-C - ready for summer 2019. Lawrence Whittaker, CEO of The Lister Motor Company said: "Launching the new LFT-C is a personal triumph, as I have always loved convertible cars, even since my 2nd car, an MG Midget. While we are famous for cars like the Knobbly and the Storm, the LFT series heralds a new era for Lister and continues our historical enhancement of Jaguar drive trains, which dates back to 1957. 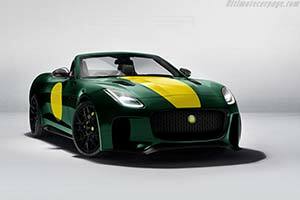 In 2019, we will see the launch of at least two new cars and have also just opened our new £5m headquarters in Lancashire that will be known as the home of the new Lister. There is lots more to come, and we look forward to sharing more news in the near future."